Although glass bottles are easily recyclable, there is nothing wrong with reusing them for a different purpose at the end of their first life. Painted glass bottles could be a great idea to spark a corner of your house or office. Whether they are plainly painted with monochrome colors or you decide to put bursts of colors and practice your art skill, painted glass bottles will make a super nice interior decoration. Look at some of a few painted glass bottles we’ve found on people’s blogs below. These are so easy to make, yet looking absolutely adorable. Everyone can do it. 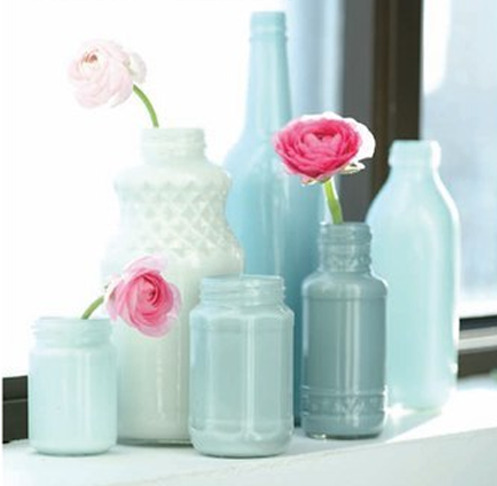 Find the DIY instruction of these painted glass bottles here. These painted wine bottles take some creativity to make. 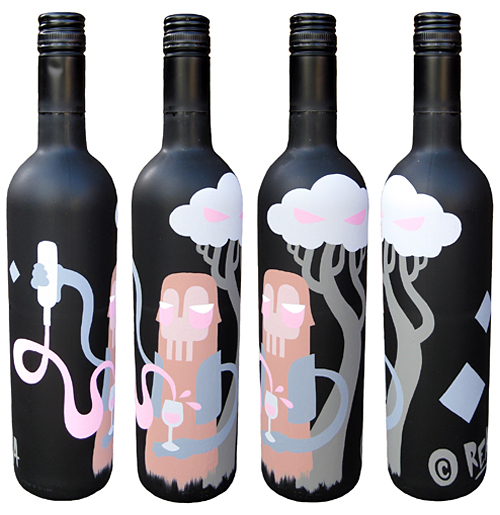 Artist James Reka from Melbourne, Australia, hand-painted the wine bottles for Adelaide’s R Wine Bar for display. The glass bottles here are also monochrome-painted, but the method is slightly different, so is the final result. 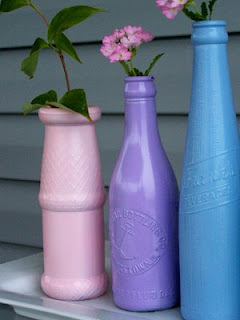 Spraying (especially originally colored) glass bottles with vibrant paint colors is a good idea to welcome the spring. Feeling like having something exotic? 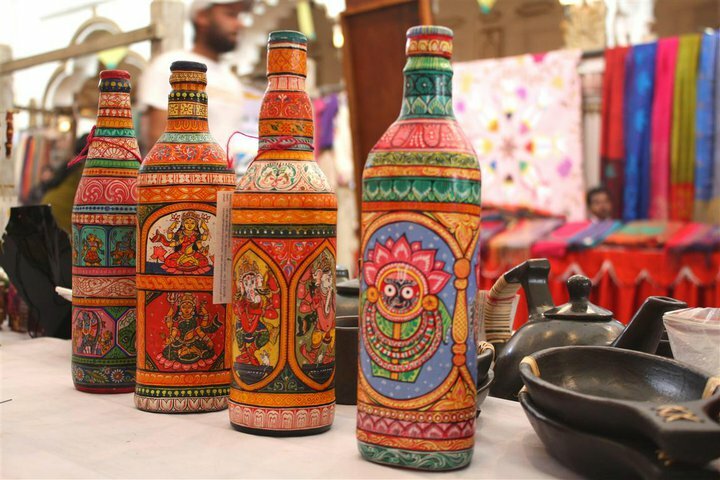 Opt these India-inspired painted glass bottles. The riot of colors will surely sparkle the room where they are displayed. You want to do your own DIY project with painted glass bottles but you don’t want to block the whole bottles with paint. 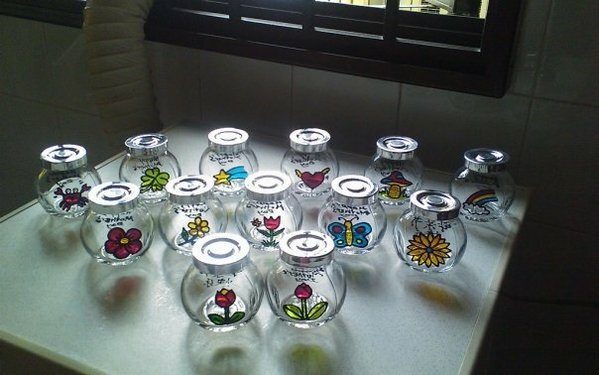 This type of painted glass bottles and jars should do for that. What do you reckon? Spring is here. It’s a good time to spark up some colors at home or at the office. Painted glass bottles and jars have to be a great inexpensive project to do. What you think about Indian Glass Bottles?